The 27th annual Charles Gleghorn Golf Tournament is scheduled for May 11 at the Pebble Creek Golf Club in Fayetteville. The event is sponsored by the Bank of Lincoln County, with proceeds to benefit the Motlow College Foundation student scholarship program. 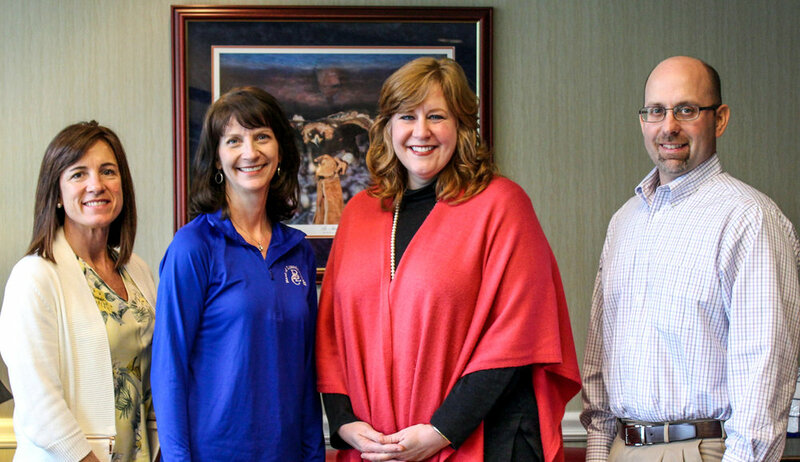 Pictured above, from left, are event organizers Jill Storey, administrative assistant for Bank of Lincoln County; Gay Dempsey, chief executive officer for Bank of Lincoln County; Lane Yoder, executive director of the Motlow College Foundation; and Mark Howell, loan officer for Bank of Lincoln County. The 27th annual Charles Gleghorn Invitational Golf Tournament is set for Friday, May 11, at the Pebble Creek Golf Club in Fayetteville. The tournament is sponsored by the Bank of Lincoln County and benefits the Motlow College Foundation. The Gleghorn Invitational is a four-person scramble, with a morning tee time of 8 a.m. and an afternoon tee time of 12:30. Breakfast is available at 7:15 a.m. and lunch will be served at noon. In addition to awarding cash prizes for first, second and third places for each of three flights, special prizes will be given for closest to the pin and longest drive. Automobile dealerships in Fayetteville have taken turns over the years sponsoring a hole-in-one competition on hole number 5. This year, Carriage Chevrolet will present an automobile to the golfer making a hole-in-one on that hole. The entry fee for the tournament is $110 per person, or $440 per team, and includes golf, cart, food, greens fee, mulligans and prizes. The rain date for the event is May 18. For more information, or to register for the tournament, contact Jill Storey or Mark Howell at the Bank of Lincoln County at 931-433-1708, or contact Phyllis Daniel at the Motlow College Foundationat 931-393-1543, or by email at pdaniel@mscc.edu.